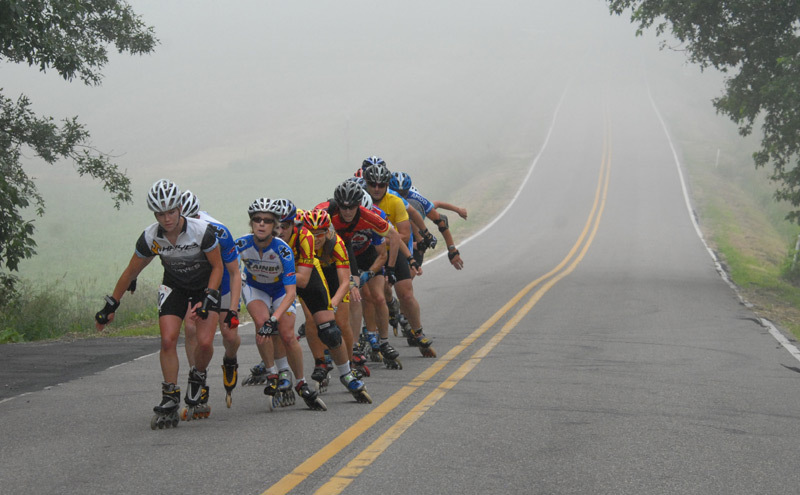 Out of the Thickening Mist — Holly Liske leads a paceline up a hill during the second half of the race. It was Liske's first inline race. A mountain biker, she finished third in the women's division.